During this step, you will create a device entry on the Admin Portal. 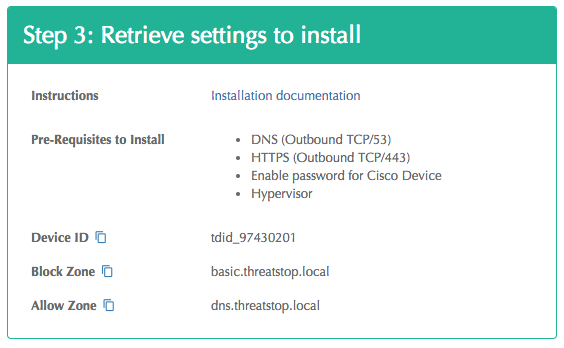 You will select a device type (Cisco ASA) and enter the configuration settings. Device Management IP address: This is the internal address of the device. 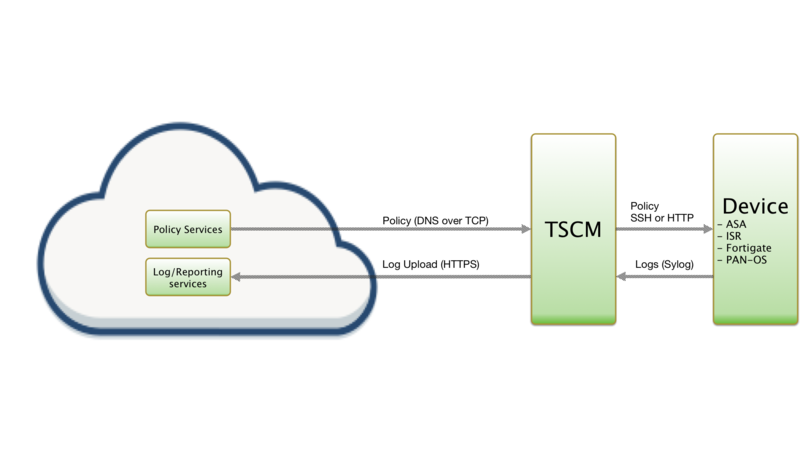 The TSCM will communicate with the ASA via SSH using this IP address. Max entries per object group: select the highest number of ACLs supported by your ASA; see this document for guidance. If the policy becomes larger than this setting, the TSCM will truncate it to match the configured setting. Enter the IP address(es) of the additional nodes in the HA cluster when prompted for this question: Is this device part of an HA/cluster setup?